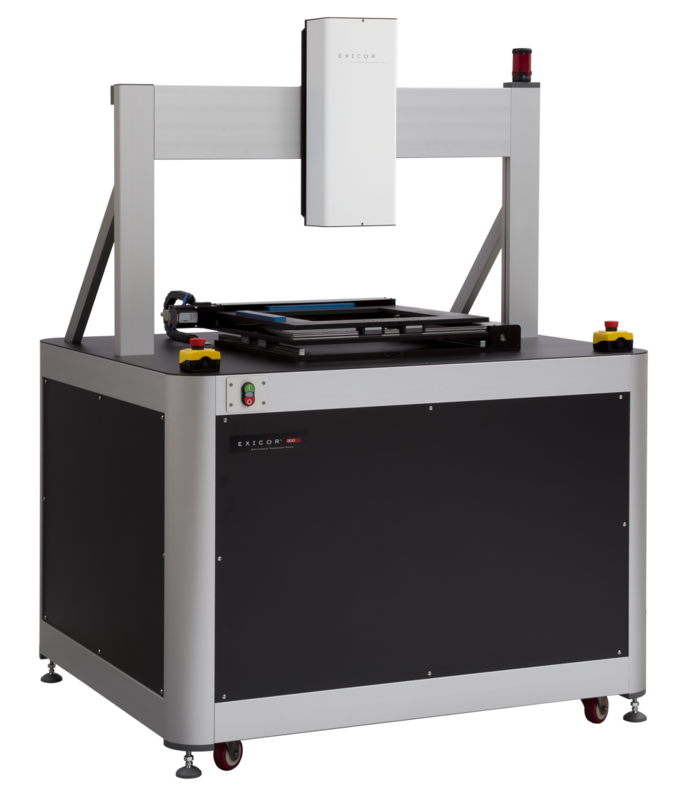 The Exicor 300AT is an all new frame design supporting applications requiring heavier or quantity sample measurements. This entry level high capacity system of the Exicor® birefringence measurement system family brings efficiency, improved load and robustness to the forefront for both the lab and production environment. This model is well suited for larger and heavier samples (up to 300mm X 300mm and 250+mm thick) as well as multiple small sample batch-oriented evaluations. The new design has a heavy duty stage for supporting heavier samples and maintaining stage flatness better than was possible with the previous similarly sized Exicor systems. By adding the optional Exicor Zones™ software to the 300AT the system can be setup to execute automated routines to scan each part individually and assign individual file names to each ‘zone’. This software allows the user to begin the routine and let it run for multiple shifts, overnight or even longer (depending on the application) without having to intervene. Contact us for more information about the Exicor 300AT and to see how Hinds Instruments works with our customers to provide unsurpassed birefringence measurement metrology.